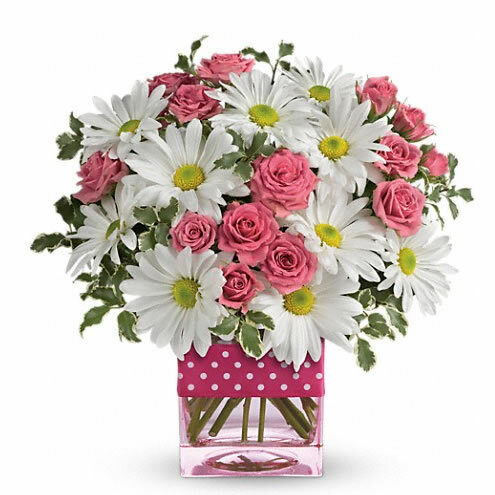 Polka dots and posies, they’re the perfect pair. Well, at least in this pretty arrangement they are. Just the right flowers in just the right vase all wrapped up in, you guessed it, just the right ribbon.